Absolutely picture perfect Bear Valley home! 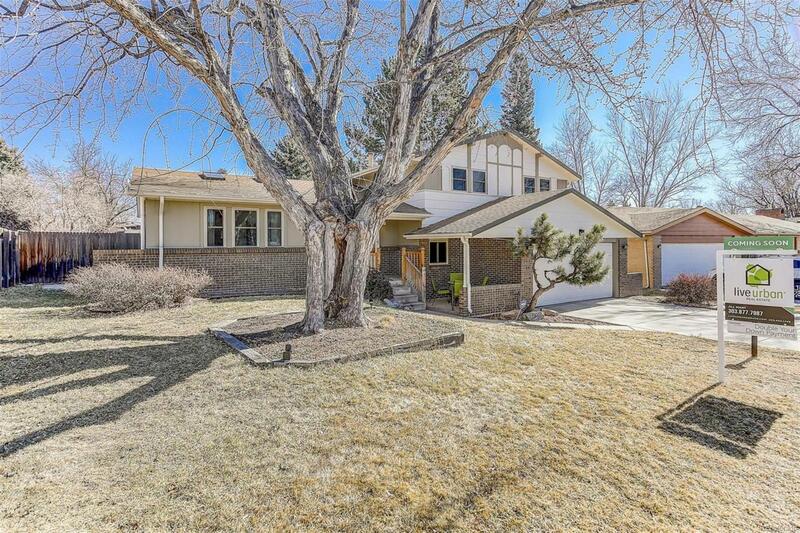 Tremendous central location minutes from Southwest Plaza, Foothills Golf Course, Bates & Hobart Parks, Bear Creek Greenbelt, great schools & major routes. Park like back yard & multiple patios perfect for outdoor living & entertaining is fully fenced to keep your pets & children safe. Updated kitchen with BRAND NEW stainless appliances & room for a table, huge family room w fireplace opens to a covered patio & will be your favorite hang out year round. The dramatic cathedral ceiling in the formal living room with its exposed wood beams, plentiful skylights & windows opens to a large formal dining area. The spacious master boasts mountain views, huge closet & remodeled bath. Partial unfinished basement available for expansion needs and offers bountiful storage opportunities. Take in the mature, treed & landscaped lot from the expansive patio. The marvelous front patio also offers space to entertain or unwind. Oversized two-car garage. Hurry!